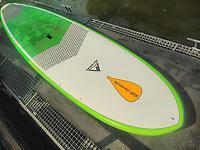 The Adventure Paddleboarding All Rounder Stand Up Paddleboard (SUP) does it all. 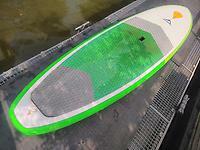 This is a very functional SUP suited to flat water cruising, yet it’s also versatile enough to take in the surf. Available in multiple sizes to suit all weight and age paddlers, this is an affordable SUP that’s rich in design features and performance. • Unverbindliche Preisempfehlung (UPE): 1094,95 €, inkl. MwSt.